are tipped to be the cause of the ACCC's decision to investigate the outdoor advertising sector as a whole, in relation to the use of rebates and discounting. Sources tell AdNews that issues surrounding these matters were most likely raised during the time of the submission process last year, when the ACCC was collecting statements from the industry to judge how the mergers would impact competition. Wishing to remain anonymous, one ex-buyer said it wasn't uncommon for some OOH vendors to offer discounts of up to 40-50% on a less valuable asset, to ensure a media agency spent more of their budget on larger format assets. They added that some smaller players would most likely have raised these concerns, feeling that the mergers would only create further unfair advantage. According to the latest Stardard Media Index figures, out of home advertising overtook digital media as the fast-growing media category, growing its share of agency spend to 13.7% in 2018. BCM agency partner and ex-WPP executive Phil McDonald said there has been "huge change and growing confusion" for clients across the whole media landscape, primarily driven by mergers and acquisitions. But in the outdoor industry in particular there were "definitely more questions than answers". "The move to rotating digital panels has clouded the value proposition, a lack of consistency on rate cards presented by some media agencies to clients and questions around the practice of value banking are the big issues that need to be addressed," McDonald said. AdNews understands the ACCC sent OOH companies requests for information on the matter late in December. 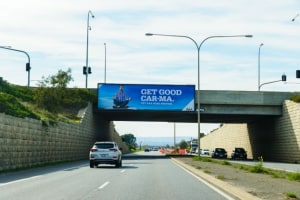 While some OOH companies are concerned about what the investigation could bring up, a source also told AdNews the information they provided the watchdog could be enough to hold off further investigation. Founder of TrinityP3 Consulting, Darren Woolley, tells AdNews that he is “not surprised” by news of the ACCC looking into OOH. He recalls back in the 90s as president of the Melbourne Art Director's Club, how “cash rich” OOH companies would throw cash sponsorships supporting various industry organisations, and that “old school behaviours” may still prevail. He also believes that the recent merger may have ruffled a few feathers, pushing certain people to make complaints about the industry as they are now more threatened by the new OOH duopoly and that it's unlikely the ACCC would have discovered any of the issues themselves while reviewing the merger details. “The ACCC wouldn't have found this – it'll be a complaint from someone who is concerned about the dominance of the two OOH companies after the merger,” he said. Woolley believes that small players will likely be partaking in some of the same behaviours, but on a smaller scale, and this issue is not limited solely within the walls of the big firms. “It's the old school behaviours and a few ratbags that are still acting this way and will not be systemic industry-wide,” Woolley said. Consultant and CMO Andy Lark said the ACCC regularly conducts these type of investigations, adding that it wasn't unusual for any industry that was driven by hyper-competitive sales structures. "Price discounting and packaging is very potent in industries that have a tight and controlled asset pool. I'd be surprised if this surfaced any systematic wrong-doing," Lark said. "The OOH market is dominated by very professional companies who are evolving their competitive offerings quickly. But like any industry, they aren't exempt from a few individuals doing the wrong thing. "It's hard to believe this is purely a result of interest and didn't stem from either complaints or observations during the merger reviews of the past 18 months. I don't see much coming out of this on a larger organisational scale." Ooh!Media responded to the media reports yesterday, acknowledging the inquires in relation to discounting and rebates. "As part of its usual business operations Ooh!Media corresponds with the regulators including the ACCC from time to time," a statement to the ASX read. "Ooh!Media understands its legal obligations and respects the ACCC's processes. Ooh!Media's practice is to engage with the regulators to assist with any questions regarding the industry." It is understood that the major OOH players have already been contacted. JCDecaux and QMS have both declined to comment. Is it hypercritical of the ACCC? Ex-MediaCom exec turned-founder of independent media agency This is Flow, Jimmy Hyett, said he sees the investigation move by the ACCC as “hypocritical”. Despite these views he welcomes the investigation as “rebates are a concern” and it highlights a continued need for transparency. “The best interest of our clients is always the thing ACCC should look at first, and any campaigns getting decided on by profit or an upside from rebates is only short changing clients and damaging reputation,” he said. Hyett said discounting shouldn’t be limited and the market value should be checked. He said there seems to be “a finger in the air market rate figure” from most OOH suppliers for each of their sites, and that figure “sky rockets” every year with “the bigger the market rate, the higher the discount”. “But the big question is rebates. Where are they going, do they stop at agencies, is that effecting the decision for the client – and that is the real issue. If an OOH campaign is decided by the rebate given, not by the results driven – there is a big issue and one that needs to be raised,” he said. On the question of how important of an issue this to look at, Hyett said with the wheels in motion with major take-overs it’s a reality of media. “As an agency we encourage discounting and especially as a smaller agency, we will always try and get as much for our dollar as we can for our clients. We do this by focusing on results – not rebates,” he said. In time of industry crisis or where concerns over sector-specific practices arise, many believe it's the prime time for industry bodies to speak out. However, this is often not the case with many often referring to some of adland's industry bodies as “toothless tigers”. Woolley, who agrees that at times industry bodies have been far to quiet, believes industry bodies should improve crisis management communications and “go on the front-foot” instead. “Industry bodies should come out and state that they are aware, that they acknowledge the situation, highlight the great things the industry has done in advancing certain things and simply say they are staying on top of the issue – put a positive spin on it instead of not saying a word,” Woolley said. The ACCC would only confirm it is aware of media reports regarding its engagement with the outdoor advertising sector. "The ACCC regularly engages with operators in a variety of sectors across the Australian economy,” an ACCC spokesperson said. As per the ACCC's media code of conduct, it does not comment on complaints or potential investigations. This means that nothing formal has advanced – yet. The code aims to strike a balance between fairness to the individuals and businesses under investigation or involved in enforcement actions, and transparency in informing the media and the public about matters of interest. At the time of the code being releases, Sims stressed said how important it is that businesses and individuals subject to ACCC investigations are afforded appropriate confidentiality and procedural fairness. Speaking to AdNews as part of the the Power 50 print edition, chairman of the ACCC Rod Sims discussed the processes when gathering information about issues such as mergers and acquisitions. He said “to get to the truth” when looking into certain issues, it uses information gathering powers in the form of issuing '155 Notices'. “When you receive one of these notices, it's illegal not to comply and it's illegal not to fully comply - that's how we get our information we know we can rely on,” Sims said at the time. The recent out of home (OOH) mergers between Ooh!Media and Adshel and JCDecaux and APN Outdoor are tipped to be the cause of the ACCC's decision to investigate the outdoor advertising sector as a whole, in relation to the use of rebates and discounting.